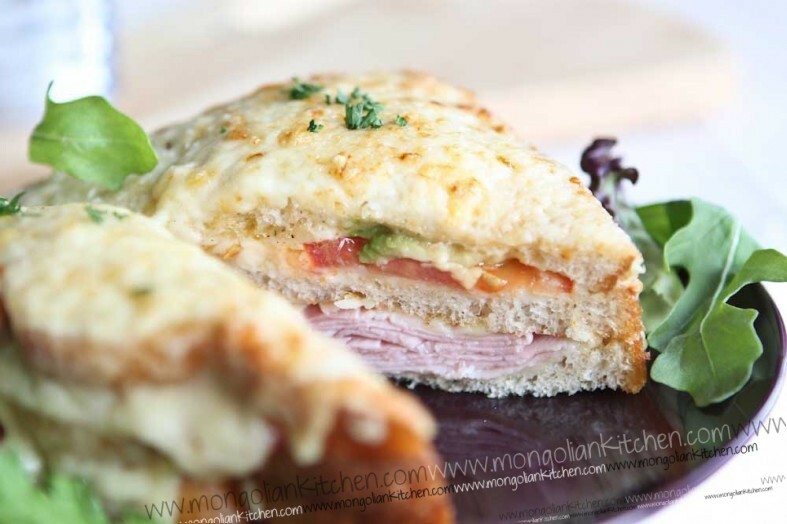 The Croque Monsieur or an extremely posh ham and cheese toastie is one of those quick sandwiches we all need to have from time to time. 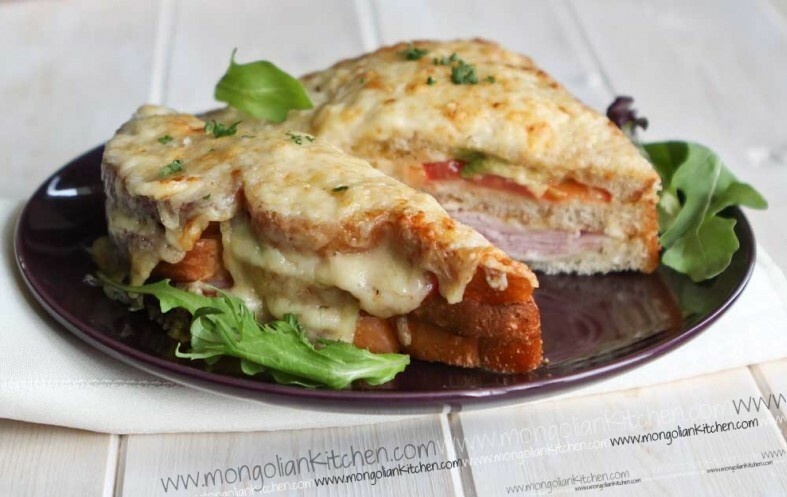 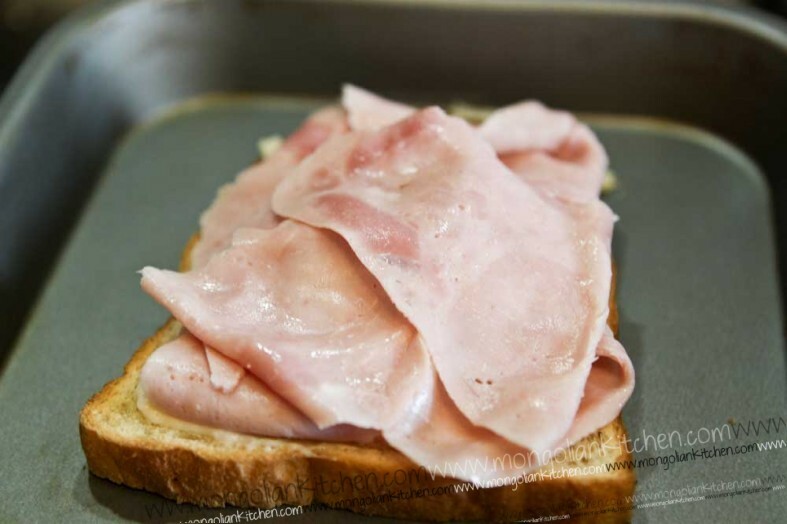 The main difference between a croque monsieur and a ham and cheese toastie is the bechamle sauce. 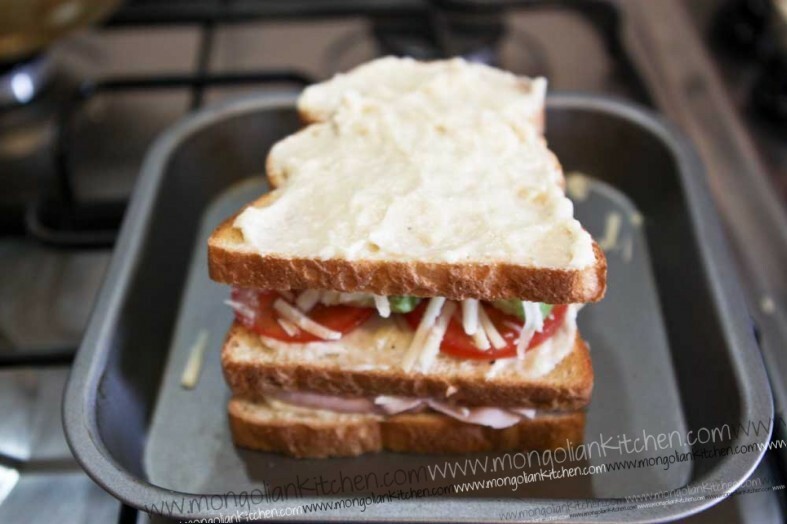 A thick, creamy topping of bechamel turns a ham a cheese toastie into something that’s little bit posher. 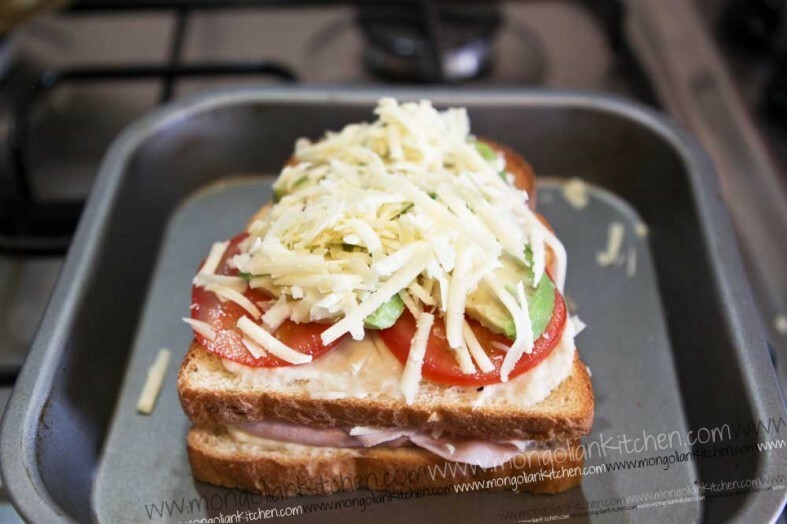 We use Gruyere cheese and cheddar cheese for the melt. 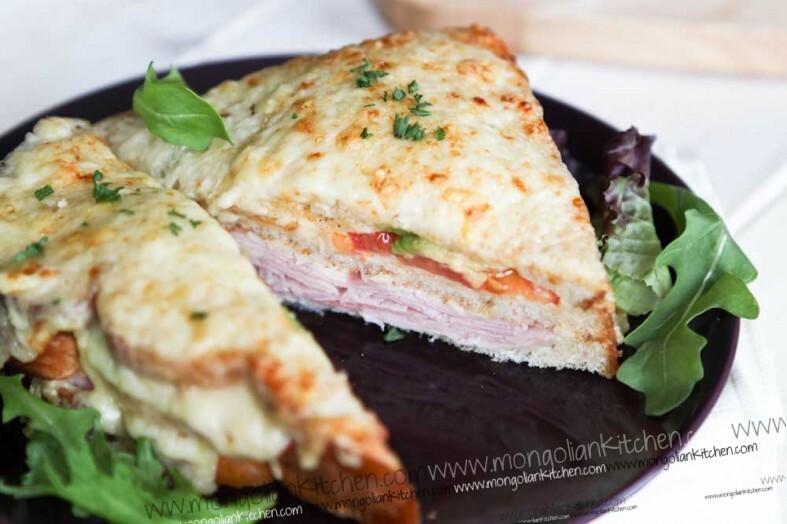 We’ve made the croque monsieur a few times. 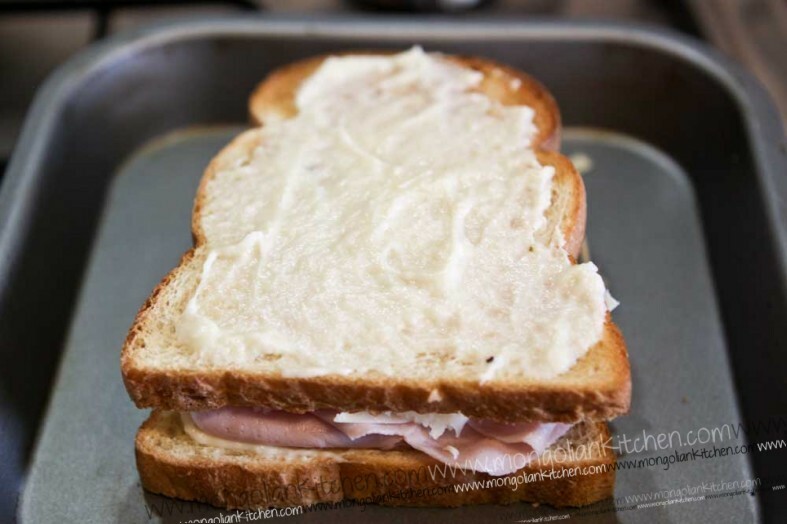 The first time was just two pieces of bread with ham, cheese and bechamel sauce. 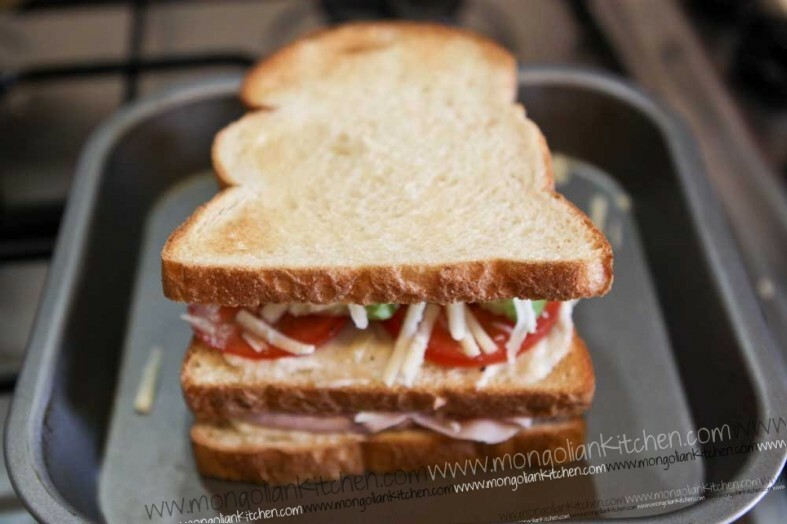 As the recipe developed we added an extra layer of bread and livened up the flavours a little by adding avocado and tomato. 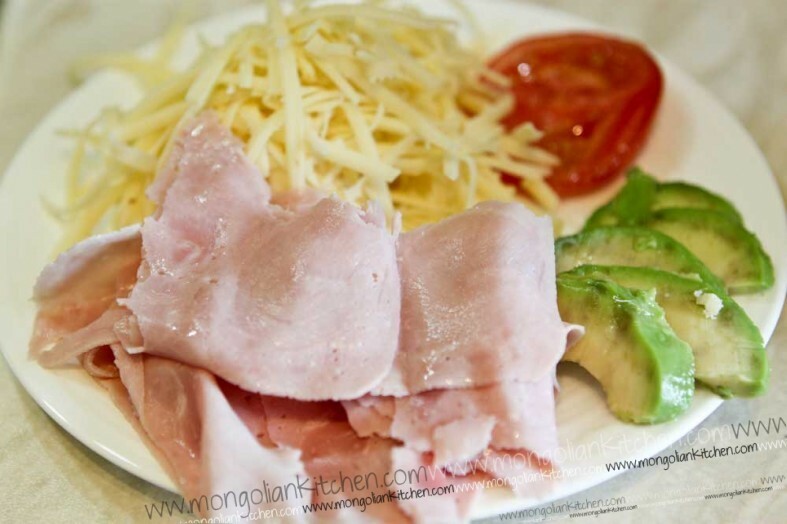 So this really is a recipe for Ham, Avocado & tomato croque monsieur. 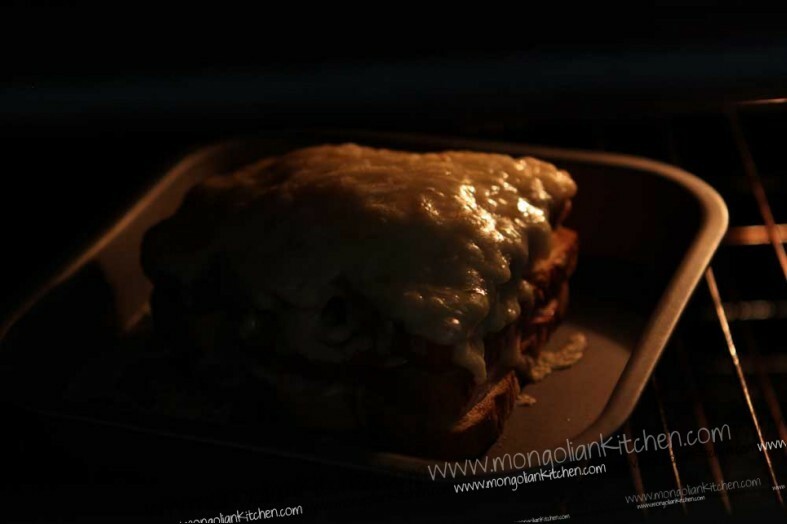 It might sound complicated but the bechamel sauce literally takes about 5 minutes. 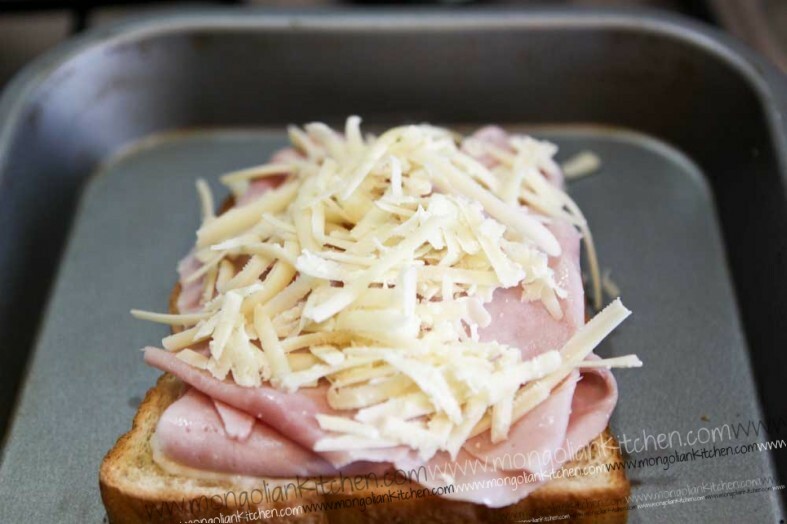 We normally assemble the croque monsieur on a baking tray and stick it in the oven. 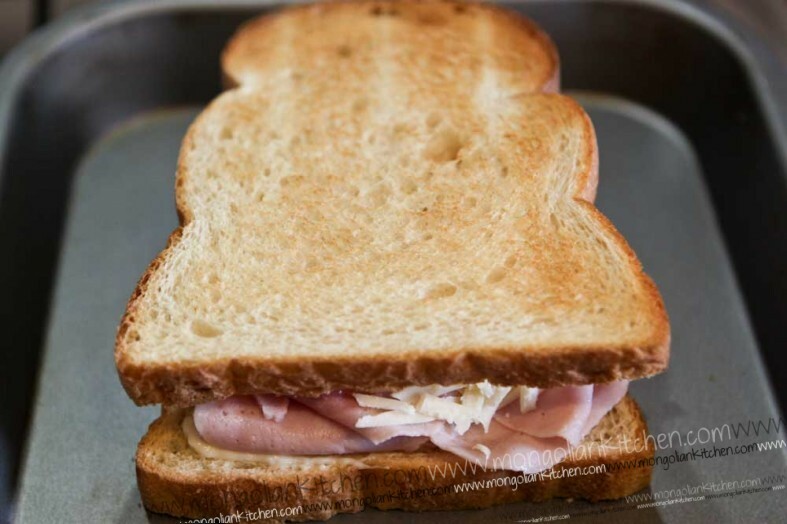 All in all it should take no longer than 20 minutes. 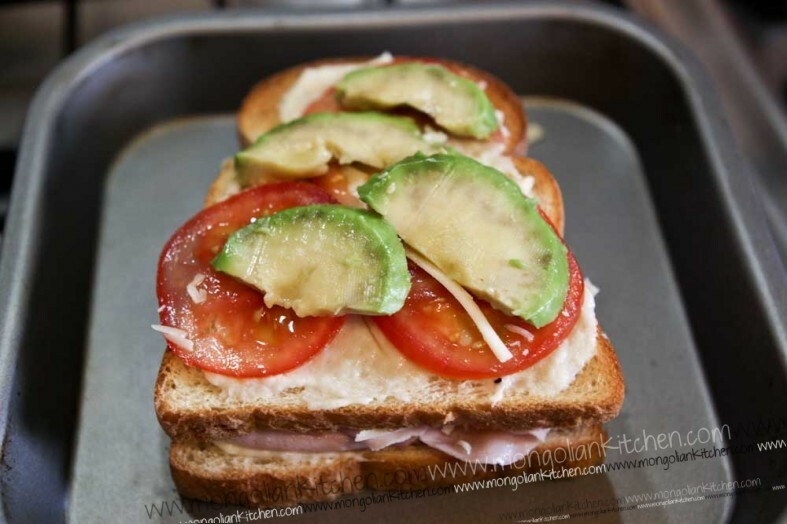 Perfect for a brunch (although this is a heavy meal so we usually share a sandwich between two of us). 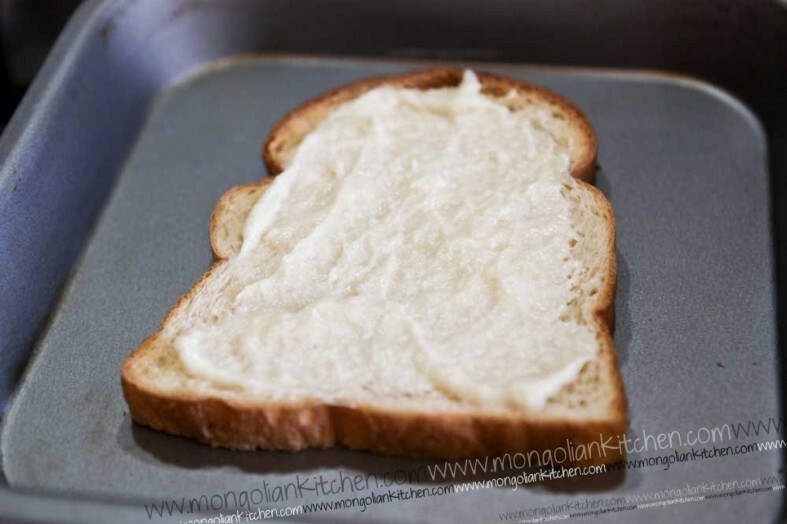 Melt the butter in a non stick frying pan (or saucepan). 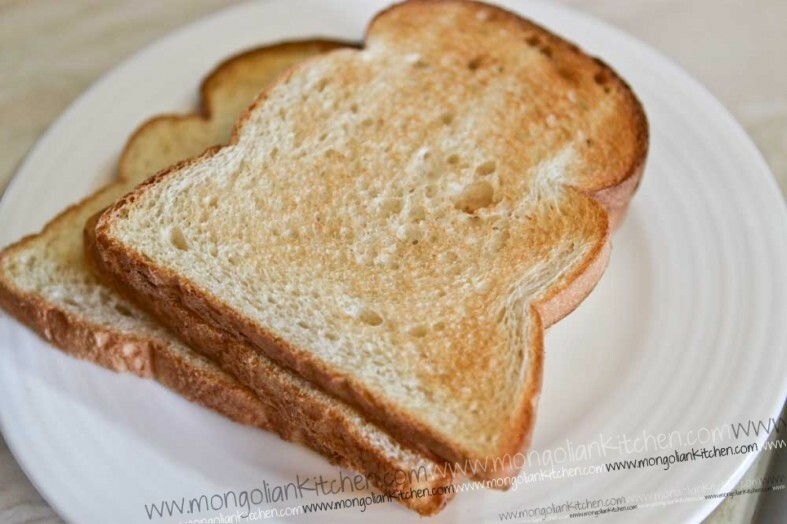 Add a bit more milk at a time and stir continuously (make sure you do not add too much milk in one go as it will go lumpy and require a lot of vigorous whisking to rescue). 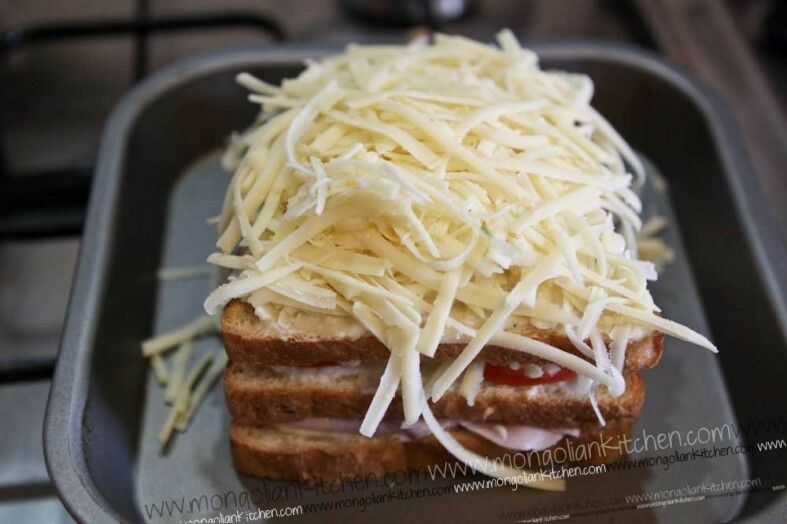 Bake in the oven for 10 minutes until the cheese and bechamel has all melted into the sandwich.